LPP is a qualified provider of Music Together, making a commitment to include music as an essential part of our core curriculum. Alison Young, our trained Music Together specialist, leads weekly classes full of creative, research-based music and movement activities. Throughout the week the classroom teachers use music to support other subjects, to ease transitions and at play time. Families receive a CD and songbook for each Music Together Song Collection used in class (two each school year) plus full access to the wonderful Family Music Zone™ website. There you will find MP3s, bonus song activities, videos, educational resources, and more. “When music is a part of your child’s everyday life, the benefits are immeasurable. Music develops the child’s mind, body, and spirit simultaneously. 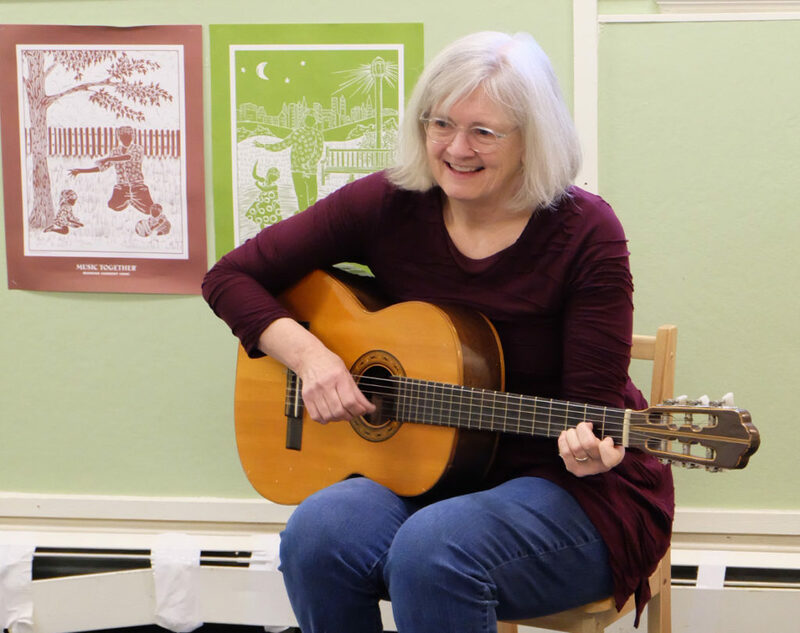 The simple pleasures of singing, dancing, and playing instruments with others engages children and can help them participate more fully in school. will go far beyond singing songs once a week. In addition to the intrinsic benefits of music-making, the Music Together program supports your child’s growth in many important developmental areas.